As hard as it may be to believe, 2018 is rapidly coming to a close. Thanksgiving is just a week away which means turkey, football, and the official start to the all-important holiday shopping season. In a week’s time, retailers will try to lure as many shoppers into their stores as possible with Black Friday blockbusters, and Cyber Monday should prove to be yet another huge day for online retailers. Consumer confidence has been high through 2018, due in part to low unemployment, rising wages, and a stock market that was hitting all-time highs less than two months ago. Retailers rely heavily on the holiday shopping season, with a huge portion of their annual sales occurring during the holiday quarter. Most retailers have shown strength in 2018, particularly those which either offer consumers big bargains as well as retailers that have managed to show an ability to compete online. Wall Street pays special attention to the retail sector during the final months of the year, and investors should as well since retail makes up such a huge portion of the overall economy. Our Stock Score Report ranks stocks using both technical and fundamental criteria, and we want to take a closer look at five popular retailers and how they are currently ranked ahead of the holiday season. 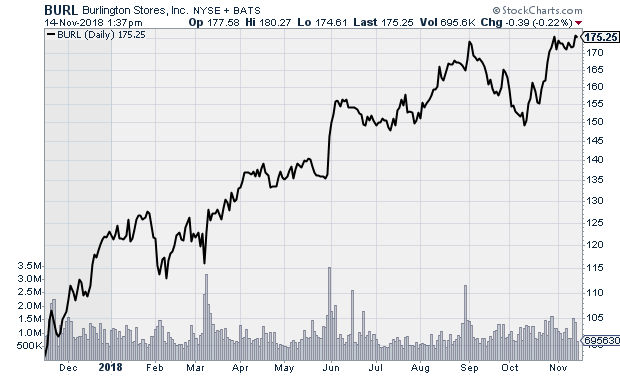 Stock Score Report gives Burlington Stores (BURL) an overall ranking of 90. The stock gets a very rare perfect 100 short-term technical score, and a near perfect long-term score. Burlington Stores has grown earnings by 33% per annum over the last five years and the company will report its next set of quarterly numbers November 27. Analysts forecast earnings of $1.05, up sharply from $0.70 during the same period last year. BURL has been a top stock, and if the company is able to continue to show strong growth the stock should build on its previous gains. BURL is trading at $176.74, in-line with the $176.94 average price target that analysts have on the stock. The stock has a forward P/E of 24.5 with earnings expected to rise 23% per annum over the next five years. Dollar General (DG) is another example of the strength the discount retail has enjoyed in recent years. 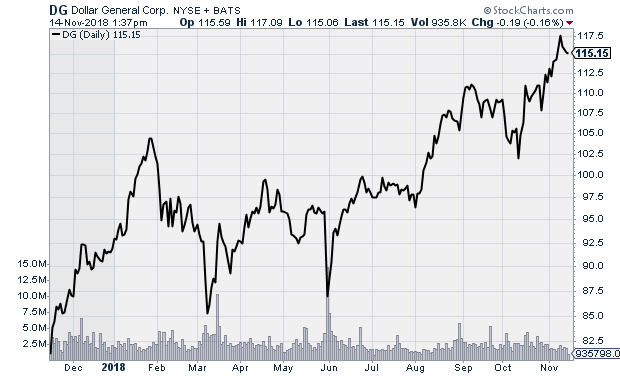 The stock has enjoyed steady gains the last two years and is currently trading just shy of its all-time high. The company will report earnings on November 27 with analysts expecting a profit of $1.05 for the quarter. 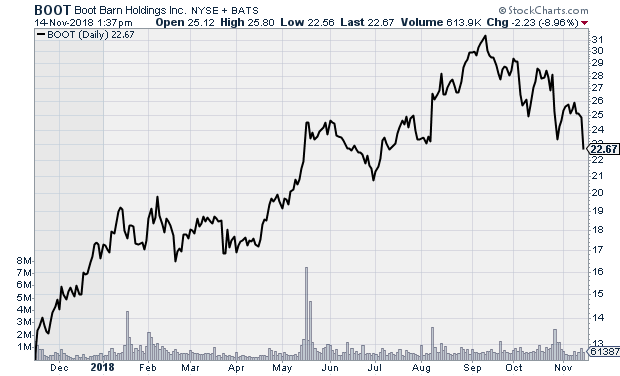 During the same period last year the company earned $0.93 per share. Earnings are up 12% annually over the last five years and analysts forecast future earnings growth to be even stronger at 15% annually for the next five years. DG’s forward P/E sits at 17 which suggests additional upside in the stock as long as the company is able to keep pace with its expected earnings growth. Stock Score Report gives discount retail Dollar General an overall score of 86. The stock is trading at $115.63 which is in-line with its $115.27 average price target. Wal-Mart (WMT) gets an overall score of 68 on Stock Score Report. The stock’s technical scores are fantastic, but the score is being impacted by a weak fundamental score. WMT took a hit at the start of the year with the overall market but shares quickly regained their momentum and WMT is once again nearing an all-time high. Wal-Mart reports quarterly numbers this Thursday with analysts expecting earnings to rise from $1.00 to $1.02 year over year. Wal-Mart has done a good job growing its e-commerce business, and investments made in employees and store upgrades has lifted its customer shopper experience and in-store sales. Wal-Mart is always a popular Black Friday destination for holiday shoppers, and Wall Street will be watching the retailer’s numbers very closely to for a clearer picture on the overall retail sector this holiday season. 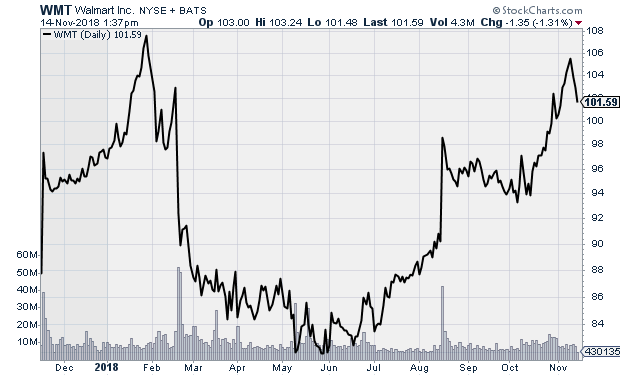 Analysts have an average price target of $106.10 on WMT and the stock is currently trading at $101.88. Amazon (AMZN) has radically altered the retail landscape over the years, and the stock has greatly outperformed the overall market in recent years. Stock Score Report gives AMZN an overall score of 77. The company is unquestionably the king of e-commerce in the U.S., and it has managed to successfully become a top player in the fast growing cloud-computing market. Its third-quarter report was mixed, with strong earnings growth but weaker than expected sales. The revenue miss has put some pressure on the stock, but the selloff creates a potential buy opportunity in a company that continues to grow at a blistering pace. While sales did fall short of estimates, sales were up around 22% year over year. Keep an eye on the company’s Cyber Monday numbers which could bring enthusiasm back into the stock during the final month of the year. 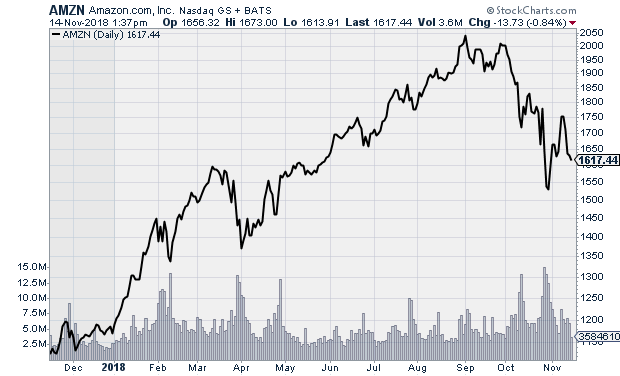 AMZN trades at $1,618.47 with an average price target of $2,165.63. Boot Barn (BOOT) has been near the top of the rankings all year, and Stock Score Report currently gives the stock an overall score of 87. 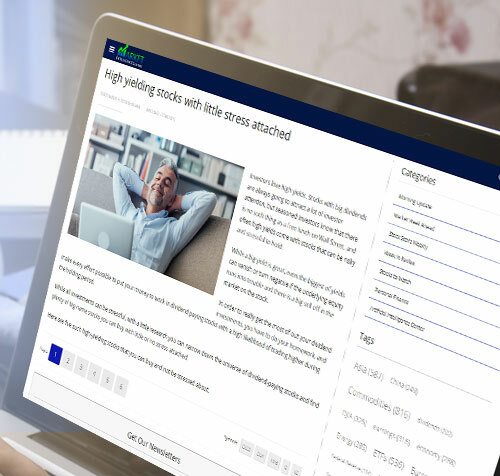 The stock has trended lower over the last two months despite a strong quarterly report during the final week of October that topped estimates on both the top and bottom line. The recent dip in the stock has lowered its valuation to a very attractive level with a forward P/E of 15.8 with earnings expected to rise 25% per annum over the next five years. Analysts remain very bullish on the stock and see a lot of additional upside potential. BOOT is currently trading at $23.82 and analysts have an average price target of $31.88 on the stock.